Rival factions of the English nobility wrangled over the throne for several decades, and the struggle left the country a war-weary shadow of its glorious past. From this maelstrom emerged Richard, Duke of Gloucester, who was determined to wear the crown and was willing to pull any strings necessary to fulfill his raw unbridled ambition. As a malformed ‘bunch-backed toad’, Richard set out to overcome his physical limitations and rely on his wiles to bring his plans to fruition. This production, directed by Brian Gillespie, employed inventive puppetry, both shadow and practical, to create a world where Richard reigns as the master manipulator. This play was one of Shakespeare’s first big hits, due in large part to the way he fashioned the character of Richard, a charismatic self-confessed villain who delights in seducing, misleading, intimidating and, if necessary, murdering those around him to get what he wants. 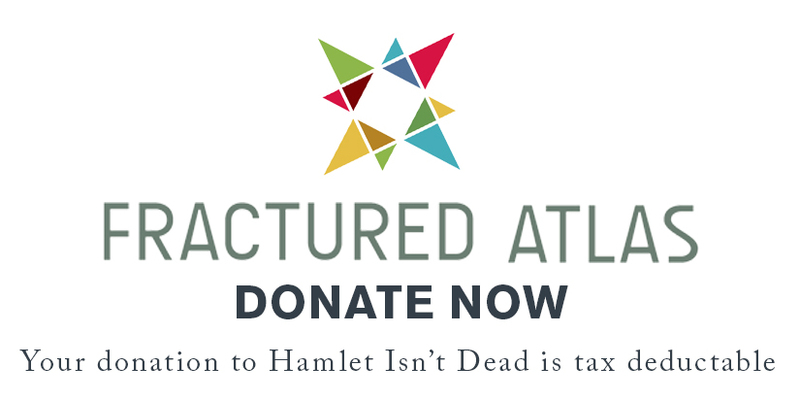 General Manager: James Rightmyer Jr.
"What Hamlet Isn't Dead brings to this production...is an innovative look at how puppetry and theatrics can sometimes tell a story with more truth than strict realism can."